In this letter Martha Berry tells Mrs. Turner that she needs her to come to Berry very badly. 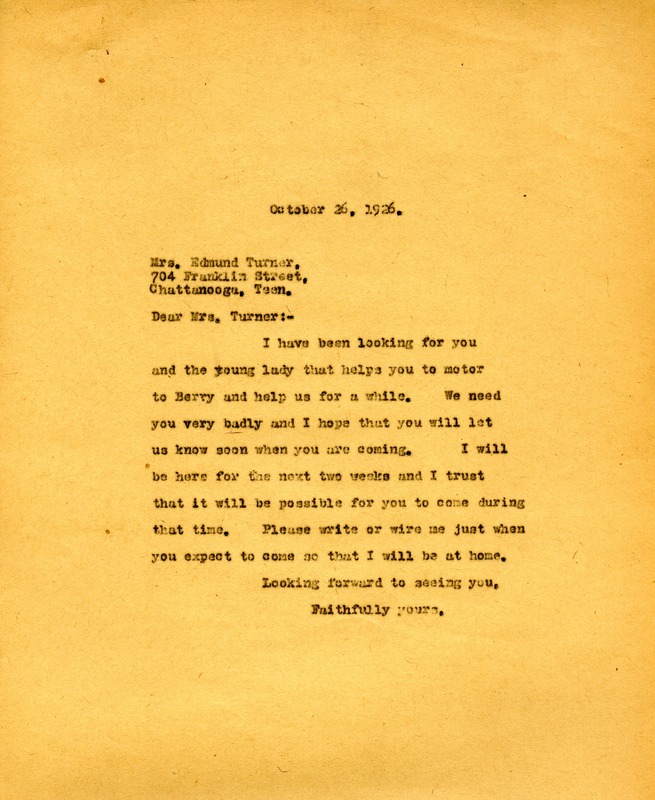 Martha Berry, “Letter to Mrs. Turner from Martha Berry.” Martha Berry Digital Archive. Eds. Schlitz, Stephanie A., Jordan Brannen, et al. Mount Berry: Berry College, 2012. accessed April 25, 2019, https://mbda.berry.edu/items/show/3558.